You have decisions to handle at lease-end, such as what kind of vehicle you’ll lease next and whether to choose Atomic Silver or Meteor Blue Mica. Thanks to Excess Wear & Use Protection you can focus on those things and not on how to pay for dents and dings upon turning in your leased vehicle. If you’re leasing your vehicle from a New York dealer, please download and review our NEW YORK EXCESS WEAR & USE PROTECTION PLAN BROCHURE. With the purchase of Excess Wear & Use Protection, you’ll be prepared for eligible damages at lease end such as damaged tires and rims, broken windows, torn seats, damaged bumpers as well as body dents and scratches. 1. Plan does not cover excess mileage.Under certain circumstances, Lexus Financial Services does not charge its lease customers for excess wear and use damage.The information provided is an overview of the Excess Wear & Use Protection Plan. Coverage is subject to exclusions and limitations set forth in the Excess Wear & Use Lease Addendum (or Excess Wear & Use Protection Motor Vehicle Services Agreement in New York). The information provided is subject to change at any time without notice. 2. 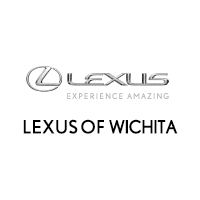 See your Lexus dealer for more information. Plan is only available on leases through your Lexus dealer and Lexus Financial Services based on approved credit. Please see your Excess Wear & Use Lease Addendum for full details on terms, limitations and exclusions. The Lexus Financial Services Excess Wear & Use Protection Plan is not available in all states.